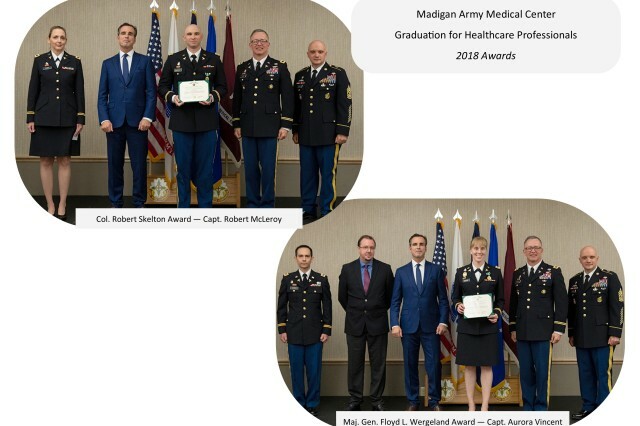 JOINT BASE LEWIS-MCCHORD, Wash. -- A sizeable crowd gathered at the American Lake Conference Center June 8 at Joint Base Lewis-McChord to see 112 residents, interns and fellows graduate from 35 different programs with Madigan Army Medical Center's Graduate Medical Education (GME). Madigan Commander Col. Michael Place informed the audience that Madigan is the largest non-joint educational platform in the Army. Place drew applause as he offered some of the performance achievements of the class of 2018. Each year, everyone in training takes "in-service exams." Madigan's first time pass rate is 97 percent, while the national average is 84 percent. Place started with that statistic and took pleasure in detailing more. "A grand total of 16 of our residents are in the top 1 percent in the country, while statistically we would not expect more than three or maybe four," Place said. 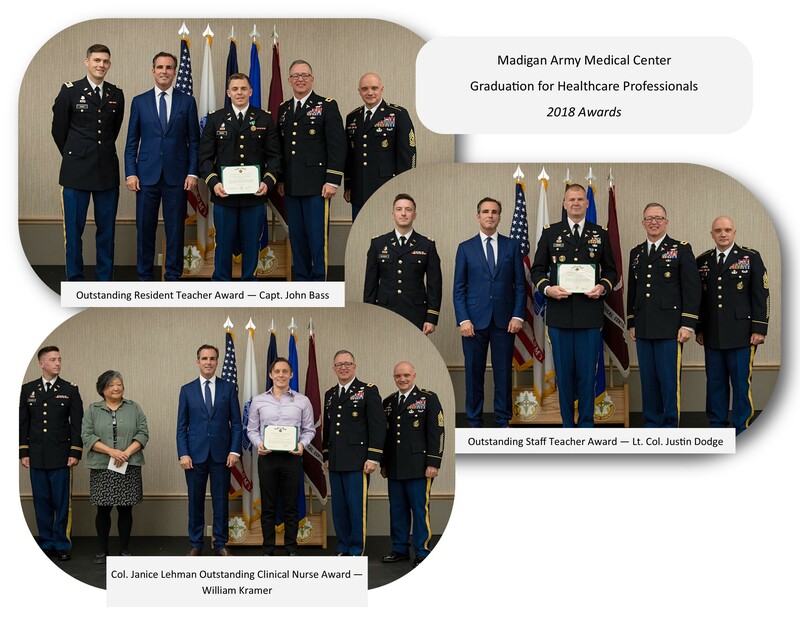 "Of those 16 (taking their in-service exams this year), five are graduating today." Place asked Captains Stephen Woo, Christian Horn, Alex Koo and Majors Kevin Kniery and Noel Dunn to stand and receive applause. 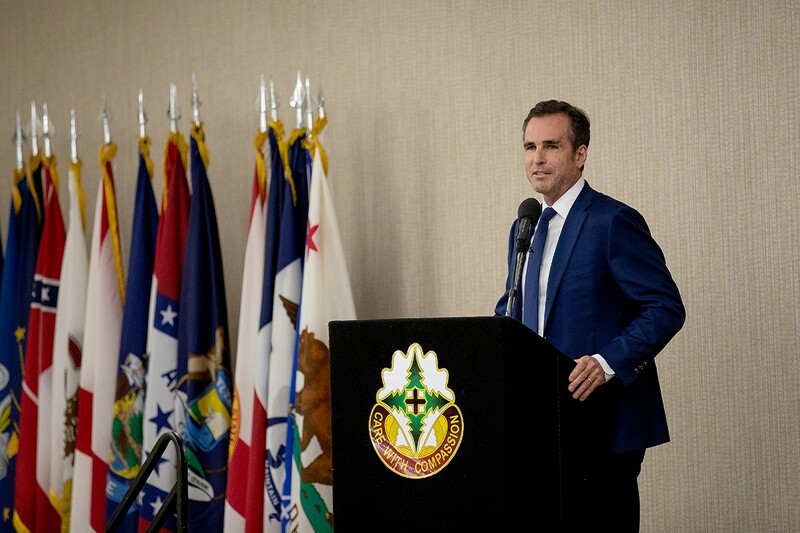 Bob Woodruff, a journalist with ABC News, provided the graduation address. "I have a life saved by people like you in this room," Woodruff said. At the graduation ceremony, Woodruff told the story of his injury while embedded with a unit in Iraq in 2006. 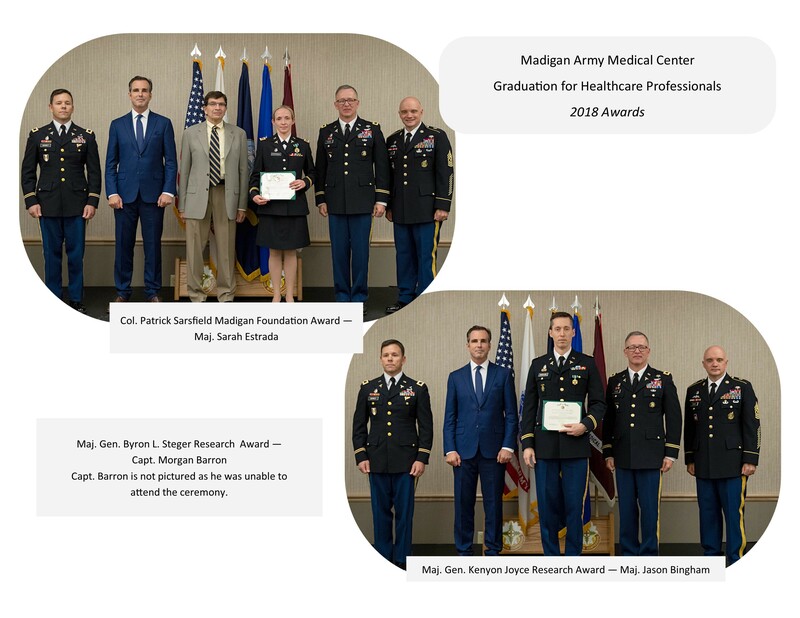 He detailed the early treatment by military medical professionals and his recovery. 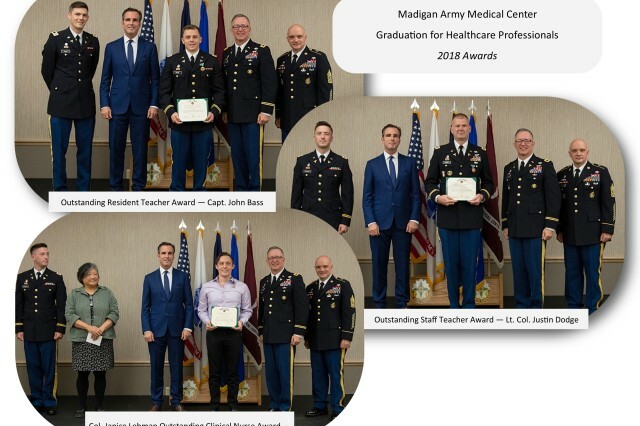 He also marveled at the care he received from the medics, surgeons, nurses and helicopter pilots who often put themselves in harm's way to care for the wounded. 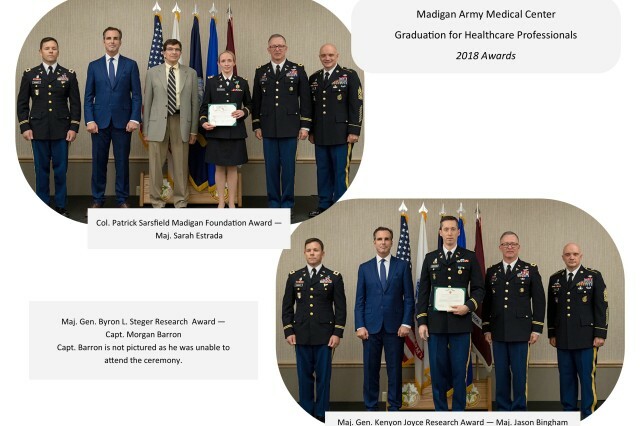 The afternoon before the ceremony, Woodruff met with Col. (Dr.) Imad Haque, a surgeon and the deputy director of the Charles A. Andersen Simulation Center at Madigan. Haque tended to Woodruff some 12 years prior when he was in a coma following a roadside bomb blast in Iraq that left him severely wounded. 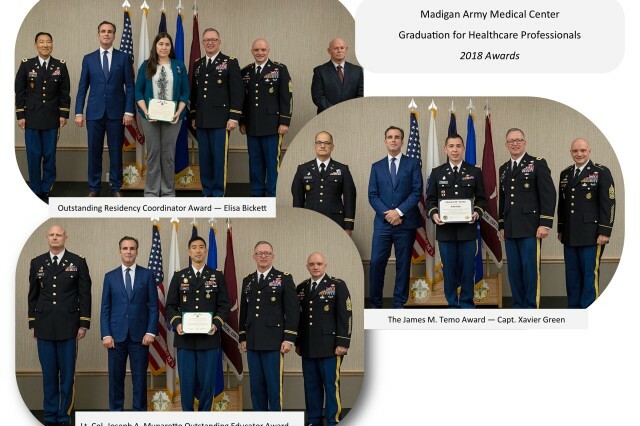 Haque was the attending physician on duty while Woodruff was in the intensive care unit at Landstuhl Regional Medical Center in Germany following medical evacuation from Iraq. Haque said his care was minimal. He visited Woodruff, checking on his condition during the overnight shift. When Haque and Woodruff discussed their brief time together, Haque had details Woodruff, 12 years after the event, still didn't know. Haque confirmed Woodruff was virtually unrecognizable and that he did, in fact, have a tag on his chest. Woodruff said he thought the tag said "expected," indicating that he was expected to die. Haque said, "The term used is 'expectant,' but yes." When asked how many people were likely involved with Woodruff's care, from point of injury to Bethesda Naval Hospital back stateside, Haque could only guess "hundreds." And that number was likely just in the first 72 hours of Woodruff's journey to recovery. That is why Woodruff, having no military involvement himself otherwise, seemed so at home talking with an Army surgeon. He and Haque exchanged details of locales and battles with seemingly mutual ease. 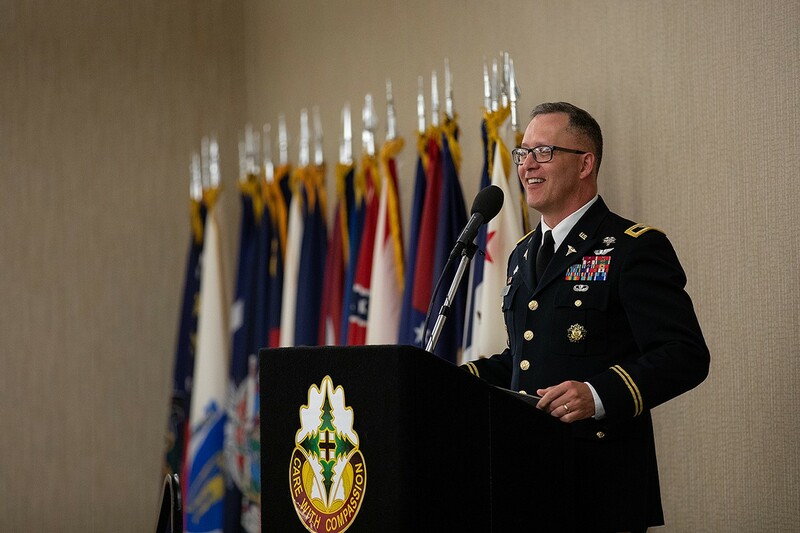 Woodruff's experience and his continued engagement with the military community made him a clear choice for keynote speaker. As Penny Preston, the supervisor of GME, explained, "I think Mr. Woodruff being the speaker is very special. He had a relevant story to tell about what our graduates will do when they get out." 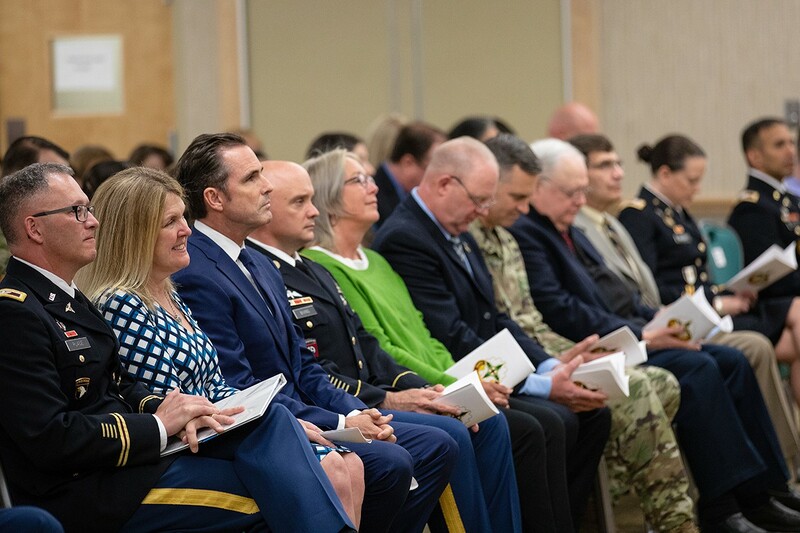 During the ceremony, Woodruff said he respected the knowledge in the room and repeatedly starting parts of his story with phrases like, "You know medicine, so you know what aphasia is." He also expressed a belief that he was lucky, all things considered. "If there is something good about the wars, it's the fact that you're way better doctors, and nurses, et cetera, than you would have been had we not had these wars. I think the advances in medicine were remarkable. People said that I would not be alive if I was hit five years earlier than I was," Woodruff said. Woodruff, his wife Lee and brother Dave established a foundation to help those who return home from war needing support to recover from injuries like his. 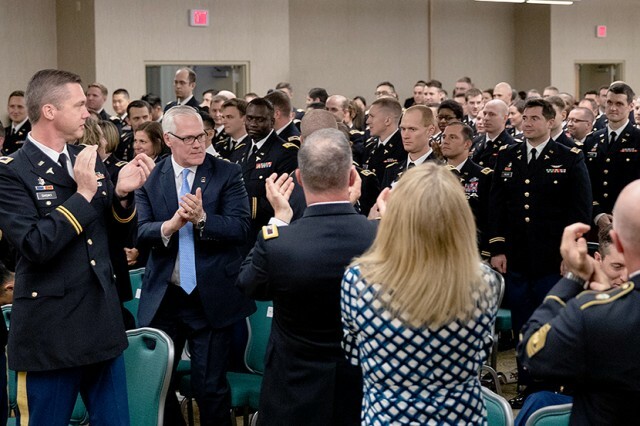 "We need the civilian world to be engaged in trying to do everything they can for those who have served our country," he said. 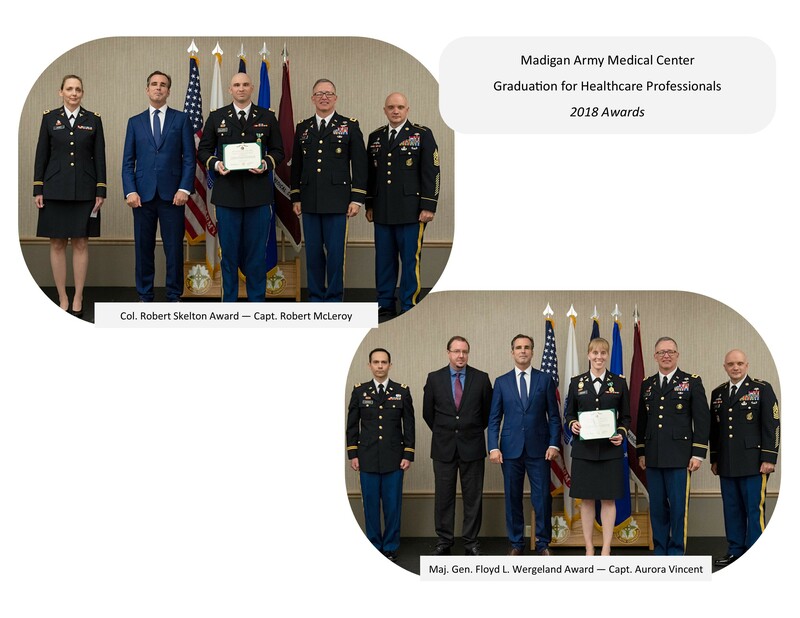 Following his remarks, Woodruff assisted Place, Madigan Command Sgt. 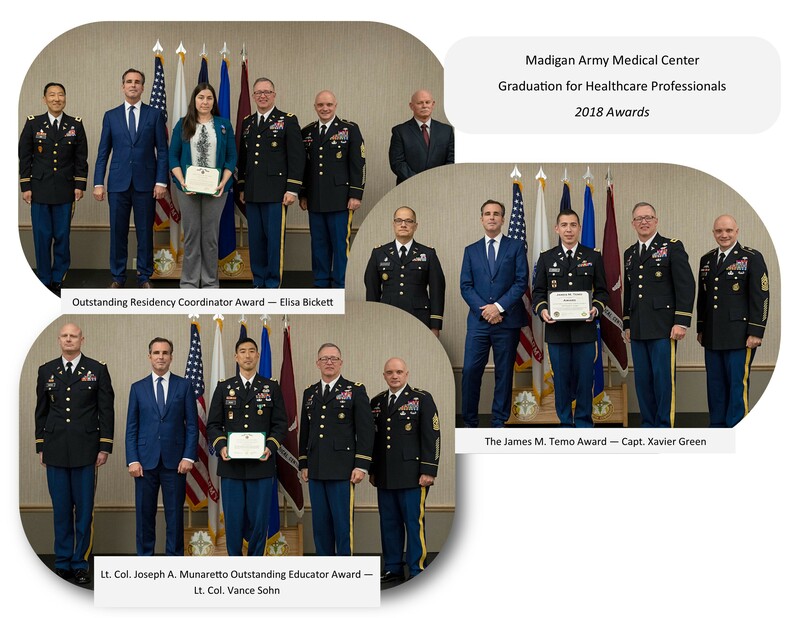 Maj. Mark Bivins and departmental representatives in handing out 11 awards prior to the graduates receiving their diplomas and turning their attention to their first duty stations on their journeys as military medical professionals.